Security validation of SCAs by SUM | It`s full of stars! Updating a system with SUM is as easy as walking into Mordor. Upgrading a SPS needs you to have a stack XML and when you put SCAs that are signed into a folder, you still have to ensure that SUM can verify the validity of the files. To do so, SUM must be able to have access to the certification revocation list (CRL). 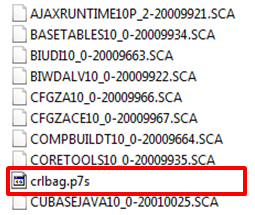 This list informs SUM if the certificate used to sign the SCA file is valid or not. Short: if the file can be trusted and therefore be installed or not. Now SUM can verify the files and will know when a certificate was revoked and tell you that it is not secure to install that file. 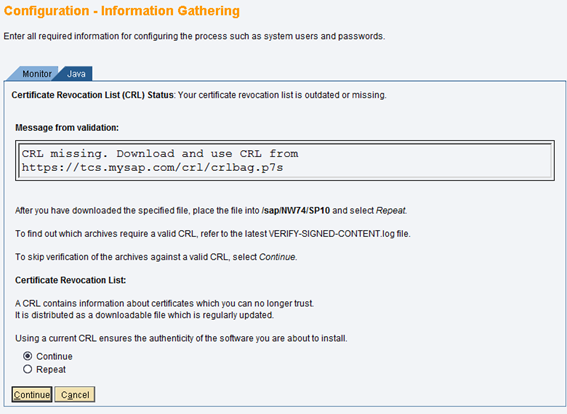 This entry was posted in Basis, Portal, SAP, SolMan and tagged certificate, crl, sca, security, sum. Bookmark the permalink.